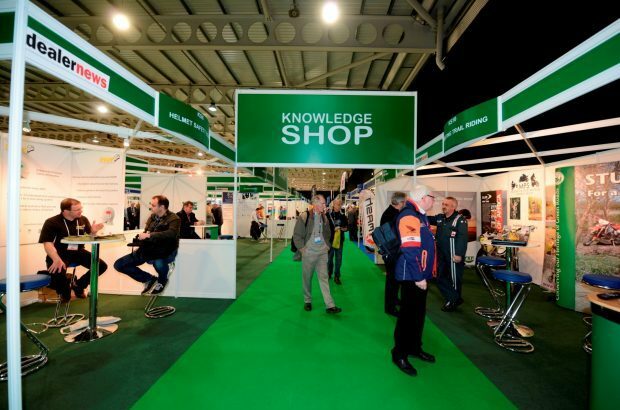 Last month, my colleague Chris Parr and I represented DVSA at the ‘Motorcycle Trade Expo’ show in Coventry. This came at a good time since it coincided with the national introduction of the new Standards Check for compulsory basic training (CBT). Attending ‘Expo’ gave both of us the opportunity to interact with everyone from Approved Training Bodies (ATBs), to trainee instructors. It also gave us the chance to meet and talk with people who were interested in becoming an instructor or those who just wanted to learn to ride. Being at the show also gave us the perfect chance to discuss the new CBT standards check form and what it meant compared to the current system of recording the assessment. The main message is that “a good lesson is still a good lesson”. However, we at DVSA want to encourage a more client centred learning (CCL) approach to carrying out motorcycle instruction. It was heartening to hear how many ATBs were fully aware of the ‘new’ CBT standards check form, and what was meant by delivering a CCL based lesson; in a lot of cases the instructors weren’t familiar with some of the CCL jargon, but were actually using some of these techniques naturally. This is where having a presence at the event really came into its own, the chance to talk to instructors face to face, often one to one. In my view, it lets me give them guidance and confirm their knowledge and experience is still valid. It also helps to allay their fears and debunk any myths, and above all, it helps us build a rapport with our customers. We found there was a lot of interest in the future of CBT generally, especially the qualification process. Again it worked really well being able to have face to face conversations; it gave us the chance to explain potential changes, and gain understanding which is the key to a lot of problems. 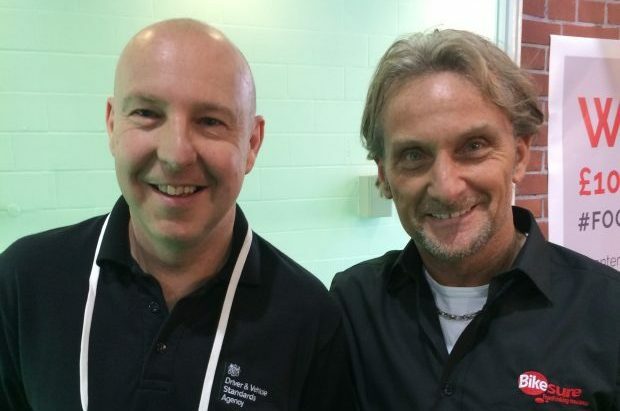 There were a number of celebrity guests at the event from the world of motorcycling, including Chris Parr’s hero, former world superbike champion, Carl Fogarty. Chris was unusually coy at first about meeting his hero, but eventually had a chat with him. Mr Fogarty was very pleasant and approachable, and chatted with many people while we were there. All in all we both found the event a valuable experience; the chance to talk to people face to face and understand each other’s point of view was priceless. Everyone enjoyed the experience which was hard going at times, and involved some difficult conversations. However, everyone appeared to gain a lot from it, not least ourselves. If you have any comments or thoughts about the motorcycle trainer standards check, please let us know in the comments box, below.